Over the past two decades the idea of sustainability has moved from the minds of a few scientists to the centre of the political and public discussion. But what is required to transform the idea into a practical concept? Who could provide the crucial innovativeness and creativity? As no single discipline and no single country can offer the ultimate solution, it needs the cooperation of bright minds from around the globe representing the whole scientific spectrum of sustainability. 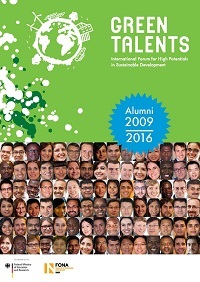 To identify and connect such high-potentials, the BMBF created the Green Talents Competition. The initiative supports these young scientists and links them to the German research landscape - one of the most renowned in the field of sustainability research. By now, many promising collaborations with German facilities were established and some of the young scientists were offered positions in industry and academia. In spite of their different cultural academic backgrounds they share a common goal: to care and to act for the world of tomorrow. This dedication as well as their scientific excellence makes them GREEN TALENTS. 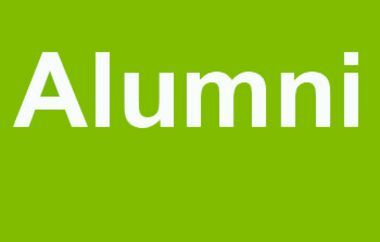 The objective of our various alumni activities is to strengthen this international network of young and bright scientists and to foster cooperation and collaboration between them as well as within the whole Green Talent network including German institutions and experts.